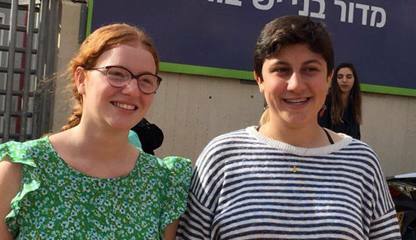 November 16, Tamar Ze'evi and Tamar Alon declared their refusal to serve in the occupation at the IDF’s Tel Hashomer induction base outside Tel Aviv. A military tribunal sentenced both to two days in prison the same day. When they completed two days behind the bars, they were tried again immediately and sentenced to 7 days imprisonment each this time. After this, they will refuse again and probably be sentenced to another term in prison.